Choosing the right fold for your pamphlet is alot like riding a bicycle, the first few times it’s a little tricky but with a little practice you get the hang of it and you’re ready to go. When trying to decide what type of fold you want for your pamphlet or brochure, it’s usually a good idea to think about what kind of content will go inside, who your target audience is and how they will be used. 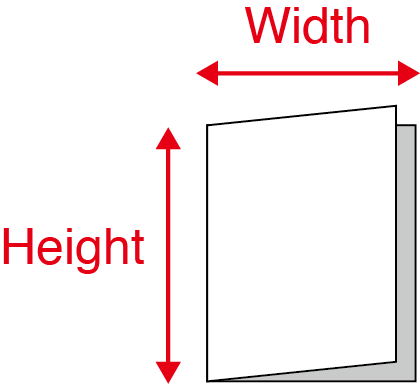 Like a pair of stabilisers (or training wheels),we have prepared some information to assist you when you put together your folded pamphlet designs. 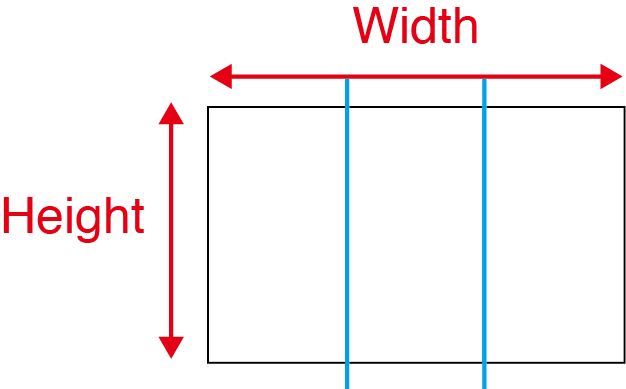 You’ll read about the different types of folds, how they differ and their size specs. 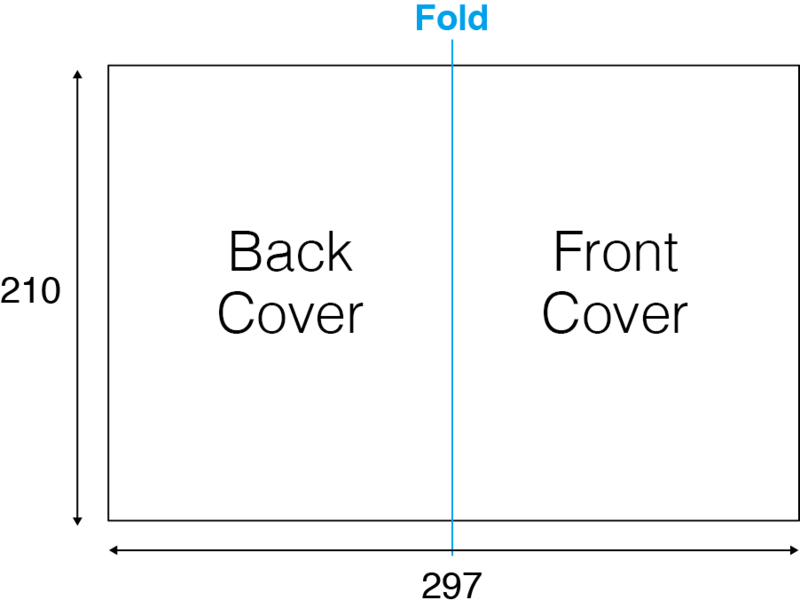 The simplest of the fold types which goes by many names. 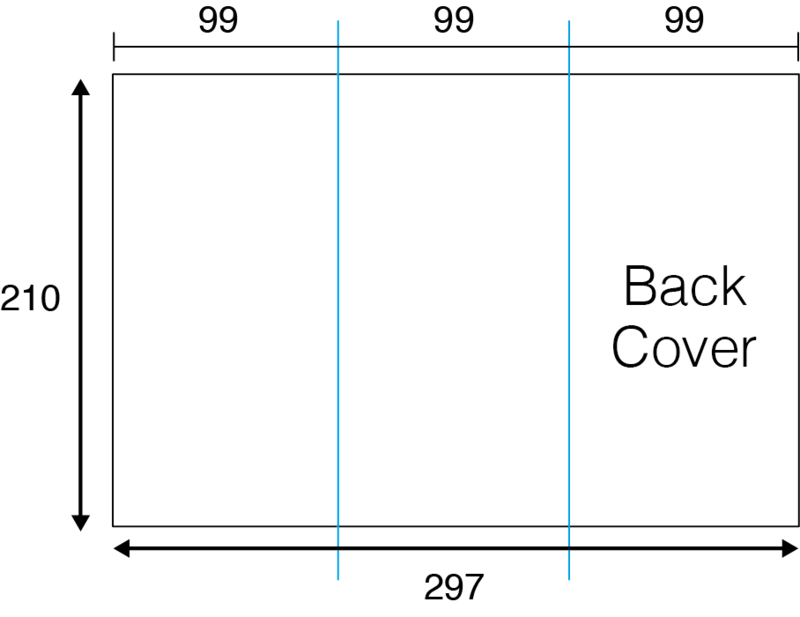 It has a single fold that divides the paper into two equal parts., resulting in 4 same width panels (2 on the front, 2 on the back). When used with flyer stock papers, half-fold pamphlets are perfect for marketing sales or event promotions. With thicker card stock papers, it can be used to create double size business cards, point cards or greeting cards. 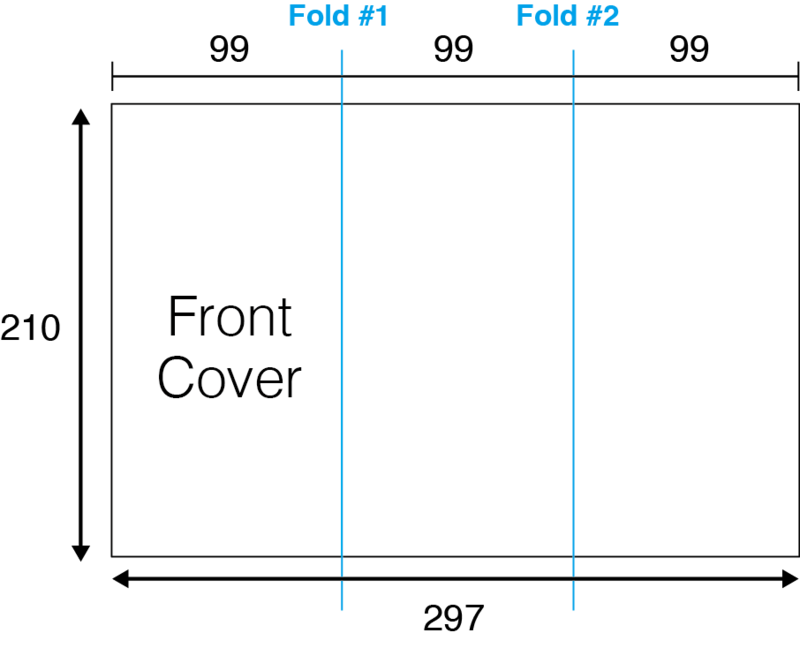 A trifold is a type of fold that uses two parallel folds to create six panels on a sheet (3 panels per side). 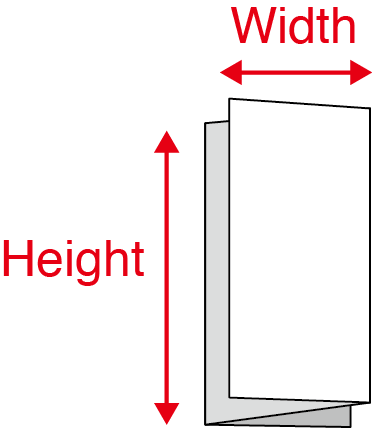 Two of the panels have the same width, but the innermost folding panel is 3mm less wide than the outer two. This panel that folds in the inside needs to be less wide to prevent the paper from buckling when the pamphlet is closed. The trifold pamphlet offers six panels to organise information into the different panels. 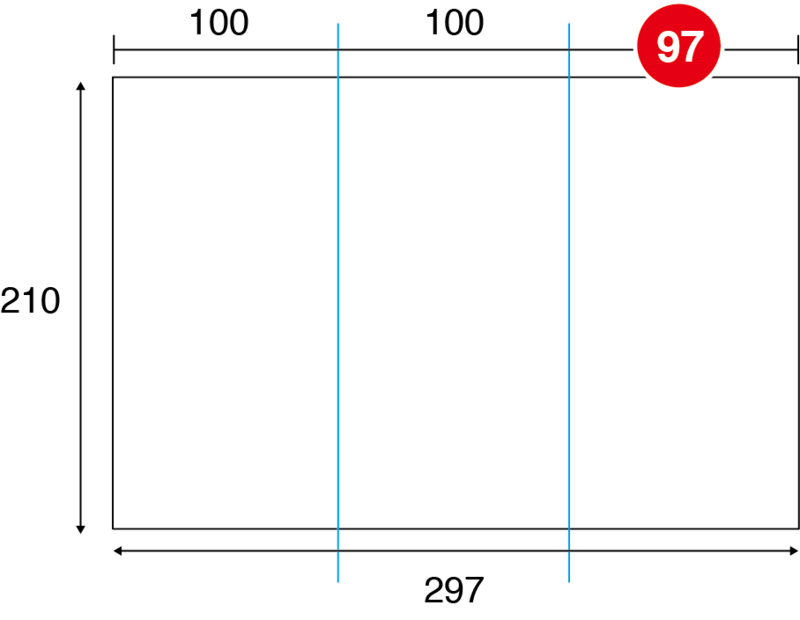 They are really popular because you can tell your story visually through the panels, guiding a prospective customer through your presentation. Trifolds are commonly used for marketing events, mailing campaigns, product or sales promotional materials, or compact company profiles. 1) Which will be the Outside Front panel and the Outside Back panel. 2) Where does it need to fold? 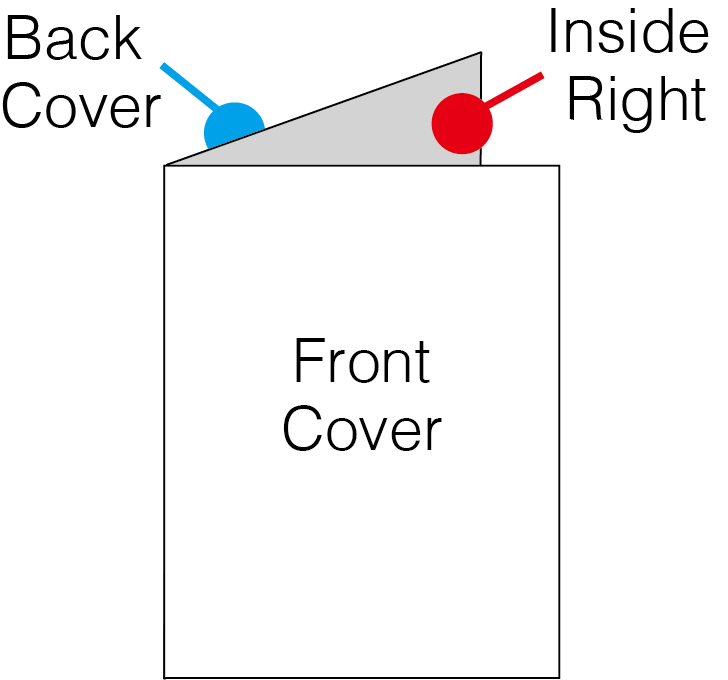 Mark the folding line with a guide. 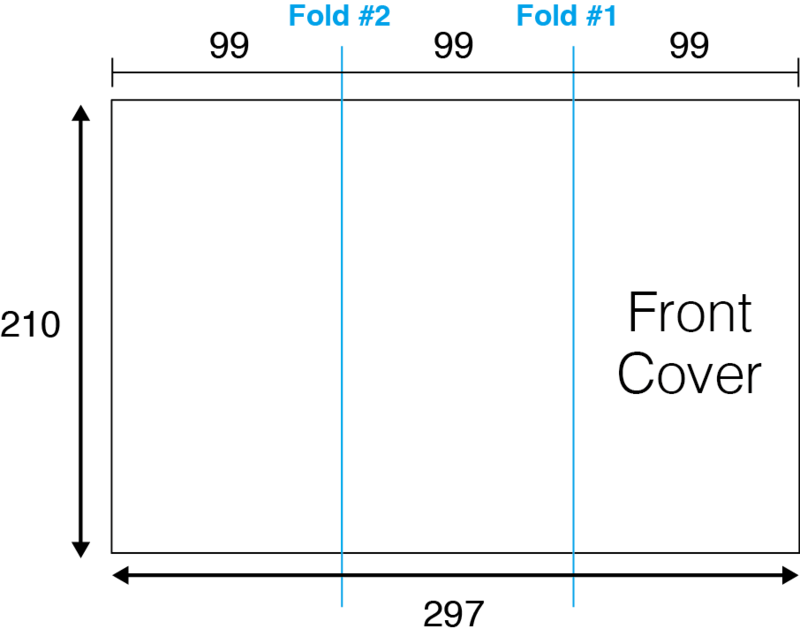 A Z-fold is created by folding a paper back and forth, to create a ‘Z’ shape (if seen from above). 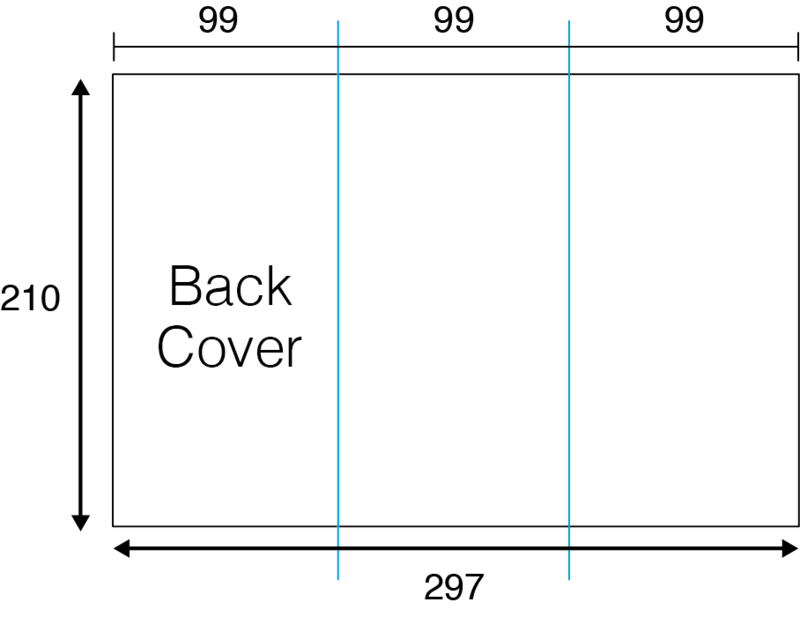 Because there is no inner folding panel (compared to a trifold),the panels can be the same width. The Z-fold brochure contains two parallel folds, each folding in opposite directions like an accordion. 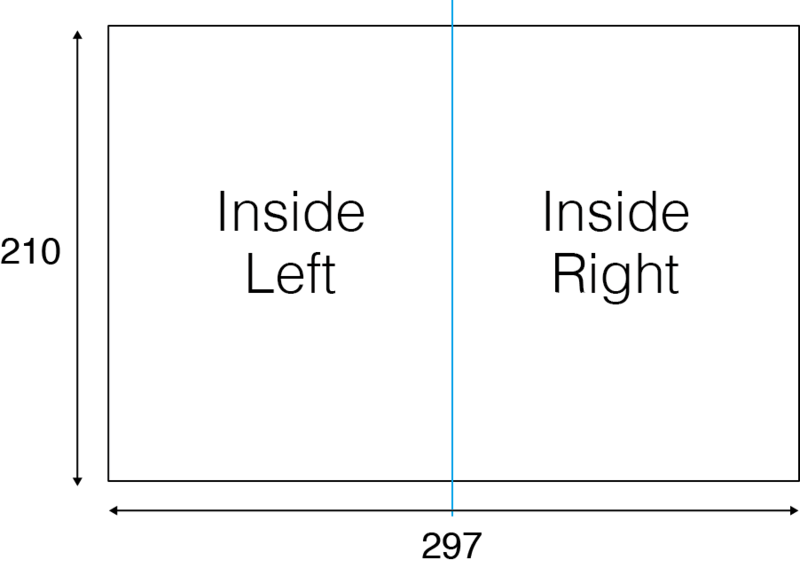 Z-fold pamphlets most commonly open from left to right, though it’s not unusual to have them open from right to left when designing for Middle Eastern or Asian languages. Z-fold brochures make great step-by-step information guide, and can also be used for designs that take up the entire width of the document when opened. 3) The direction of the fold. 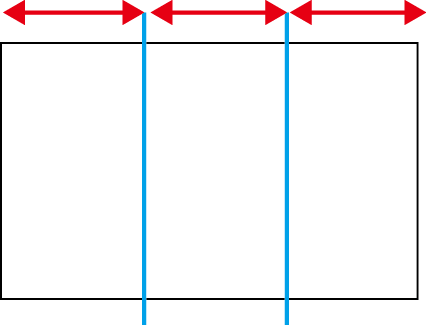 Will it be a Mountain Fold (Λ) or a Valley Fold (V)? There are many ways to fold printed pieces of paper. 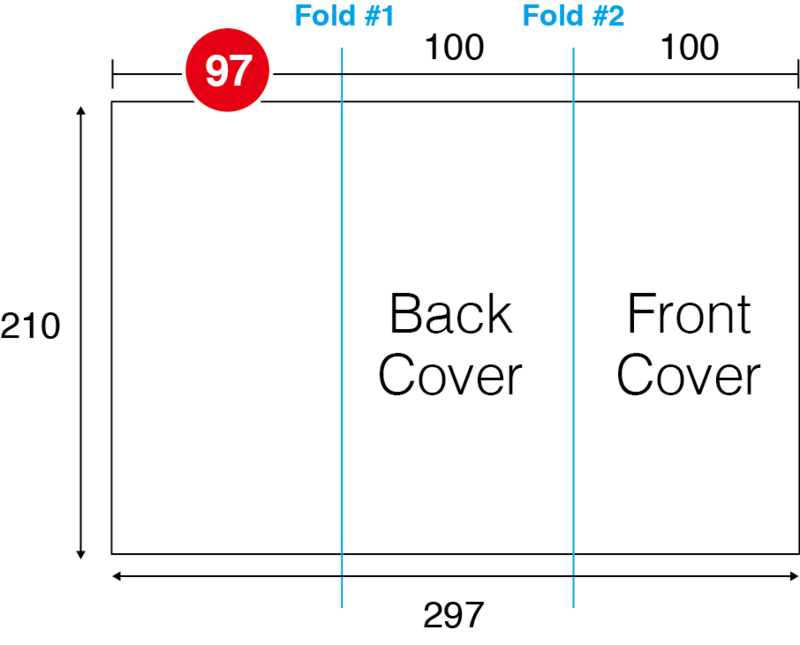 The way they fold and unfold can be an essential factor to the presentation of your layout or design. 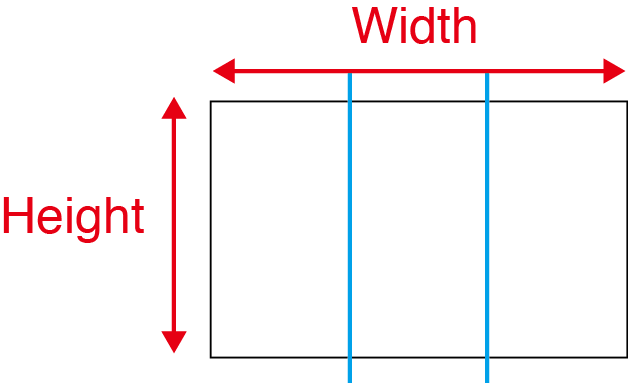 Below are a list of standard paper sizes and folding pitch measurements should you want to create custom sized folded brochures. 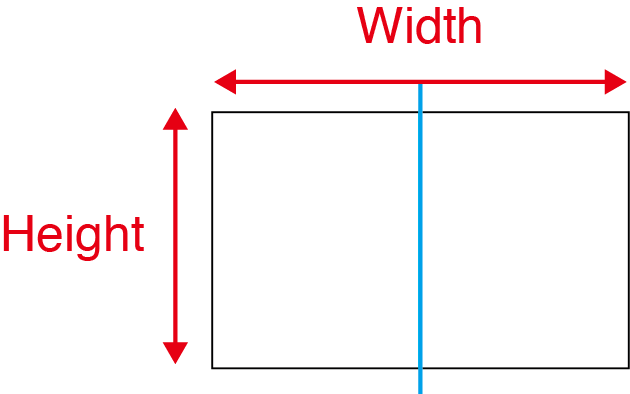 Note: When submitting data to be folded, your artwork should be setup up to the open size. 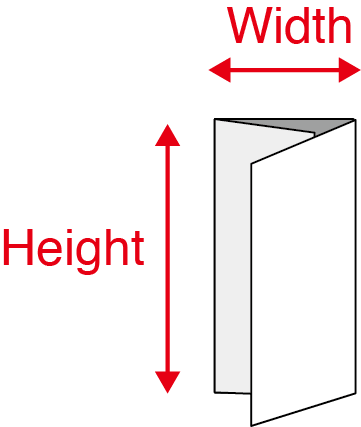 For example, if you want to print an Z-fold A4 brochure, don’t send us 6 99x210mm files. 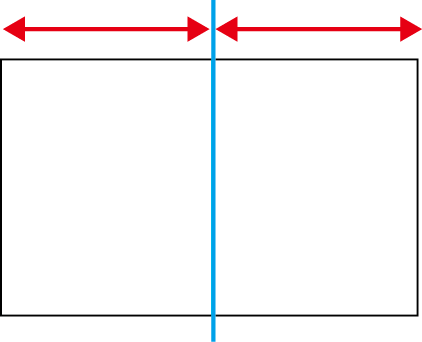 Download our free layout templates to set your design up. Otherwise we may have to charge you additional artworking fees to set up the data up for you.